Why Update GGC Medicines App? Every app seems to want to update regularly, and they nag with notifications until you give in and update. Update notifications can seem like an inconvenience especially while you’re busy, but keeping your GGC Medicines App updated is important for a variety of reasons. Why Update your GGC Medicines App? Content updates (shown in screenshot) which prompt you to update provide you with updated clinical guideline content. It is of the highest importance that content updates are accepted at the earliest possible opportunity. Version updates may improve user experience by updating the app functionality. Version updates can also be to fix bugs within the app. 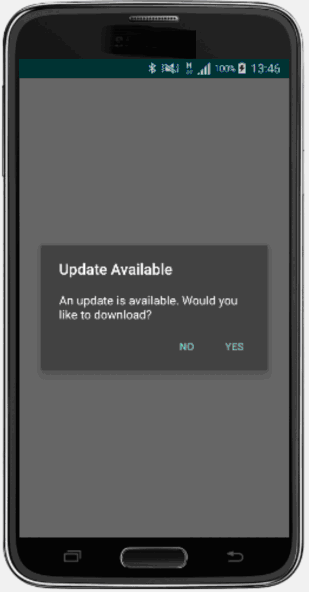 The way version updates are run is dependent on device and user preferences, they may update automatically or prompts may be available in your app store. The GGC Medicines app content was last updated on 24th of February 2017 and your app should have prompted you to update your content already. It is of the highest importance that all updates are accepted at the earliest opportunity. The GGC Medicines desktop site here is always live with the most up to date information. For more information or assistance with any aspect of the GGC Medicines app or Therapeutics handbook please contact ggc.medicines@ggc.scot.nhs.uk.